Hot desking and office hoteling arrangements are beginning to replace traditional seating plans. The premise is to allow employees access to a desk only when they need one. While these strategies have the potential to boost both employee productivity and the company’s bottom line, but they can only work when implemented correctly. Any organization considering hot desking needs to first understand the fundamental needs of their employees. It’s absolutely imperative that your strategy fits the existing office culture. First things first: let’s tackle the difference between hot desking and office hoteling. While similar, the two strategies do have some important differences. The hot desking trend has been around since the 1990s, and works by assigning employees a desk as they need one, rather than allocating them a single permanent workspace. Office hoteling, on the other hand, allows employees to temporarily reserve a desk or alternative workspace as needed. When it was first developed, hot desking proved to be somewhat unpopular with employees because it stripped away the ability to personalize their space. Modern hot desking, however, is about providing employees with practical work space choices that allow them to do their best work. What Are The Perks of Hot Desking? Implementing a hot desking strategy allows organizations to save money on real estate, as it negates the need to expand their office size to match employee growth. In this way, hot desking can easily accommodate a more remote workforce. It ensures employees have a place to work without wasting real estate. Of course, the perks aren’t only limited to employers. Employees rarely do the same type of work every day, and hot desking reflects that. There are times when employees need privacy, and other times they needs to work collaboratively. Hot desking enables greater staff collaboration by allowing traditionally siloed departments to sit together, leading to idea sharing between teams that might not otherwise have the chance to interact. Do the majority of your employees work in-house or remotely? Does your industry require a lot of interdepartmental collaboration? Do your employees have flexible work schedules? The hot desking model is best suited to larger organizations where a certain percentage of the workforce is regularly on the road, working remotely, or flexible in their day-to-day schedules. Similarly, if members from different internal teams need to regularly meet on projects, hot desking could be a helpful solution. On the other hand, if companies operate with a strict 9 to 5 work day or have employees who work with classified information, they may not be ideal candidates for this approach. 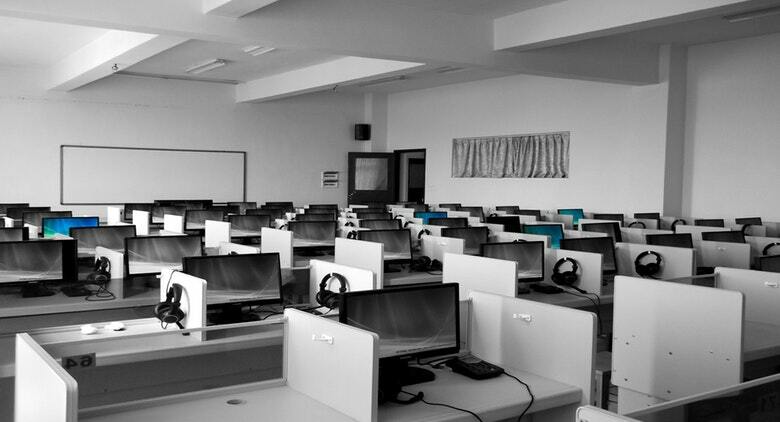 Hot desking shouldn’t fundamentally change your company culture, it should enhance it. How Do You Facilitate a Smooth Transition? If you’ve weighed the options and believe that hot desking or hoteling is right for your office, it’s time to start planning for the transition. A switch from fixed to flexible seating is a big change, and as with any office shakeup, some workers will adapt quickly while others may have issues. To ensure a smooth transition, ask employees for input and keep them informed about timeline and process. Once implemented, send out surveys and set up discussion panels to encourage honest feedback on the new layout. How Do You Manage The New Process? While employee buy-in is essential to a smooth implementation, none of these strategies will work without the right technology in place. Good hot desking software must provide multiple ways to book a desk and be able to account for different team requirements. Employees should have the choice of booking in advance or on the same day, online or via a mobile app. They’ll also have seating preferences, and the software should permit you to easily track these. As with any software, the product must prove user-friendly and intuitive. Hot desking offers opportunities for employers to save money and for employees to work more efficiently. As with any new policy, you’ll need to take your workplace culture into account. Before informing employees that personal desks are a thing of the past, HR managers need to take a step back and look at the bigger picture. While it can be tempting to jump on popular trends in any industry, it’s critical to keep business objectives top of mind. Your company’s culture is one of its most important attributes, so it’s important to not sacrifice it for the sake of a new policy. The trick to implementing hot desking is to ensure it naturally works with your existing office, not against it. 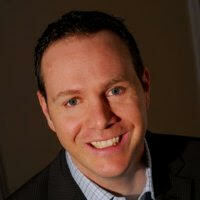 David Spence is the Director of Business Development at OfficeSpace Software. OfficeSpace is a smarter, simpler way to manage your facilities, workspace, and office moves in one.